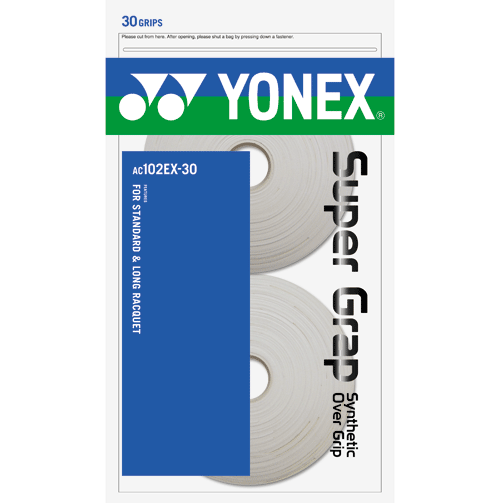 The Tennis Depot is now proud to offer one of the most popular overgrips, the Yonex Super Grap 30 Pack Overgrip. If you are a fan of the Wilson Pro Overgrip, you should definattely check out the Yonex Super Grap. One of the most popular overgrips around, the Yonex Super Grap set new standards for what an overgrip should do. Super Grap absorbs shock and perspiration giving you excellent feel and control and at the same time enhancing the playability of your racquet. Great tack and absorbency is what really makes the Yonex Super Grap stand out. 30 grips per package. Fits standard and longbody racquets. We know many of you have been patiently waiting for the Pro Supex overgrips to be in stock. This morning we received our shipment of the grips and they are now available to order. Please visit www.stringsdepotplus.com to order your Pro Supex grips today! For more info, please visit our website or click here. Leather is one of the most finest materials available. People buy leather jackets, leather shoes, leather sandals, and other leather goods. Leather has found its way into the sport of tennis. Leather grips are the golden standard. Unlike regular synthetic grips, leather grips provide a special feeling unlike anything else. One of the many advantages is that leather grips can reduce shock vibration in the handle. They also provide a remarkable cushioning feel. All leather grips are made from the finest calfskin. Strings Depot Plus carries a large variety of leather grips. Some of them include the Wilson Natural Grip and the Babolat Leather Grip. Both are excellent quality and the main difference comes in the thickness. The Wilson being thinner is perfect if you demand a similar grip size to your current one. On the other hand, if you like to make your grip size a little larger, we recommend the Babolat. It’s slightly thicker yet still maintains the great qualities of a leather grip. Keep in mind the leather grips also add some weight to your racquet. On average, leather grips add around 15 grams. If you plan to add a leather grip to your racquet, don’t forget to remove the original synthetic grip. As always, if you have questions or are seeking advice, feel free to contact us. Our friendly staff are waiting to help you.